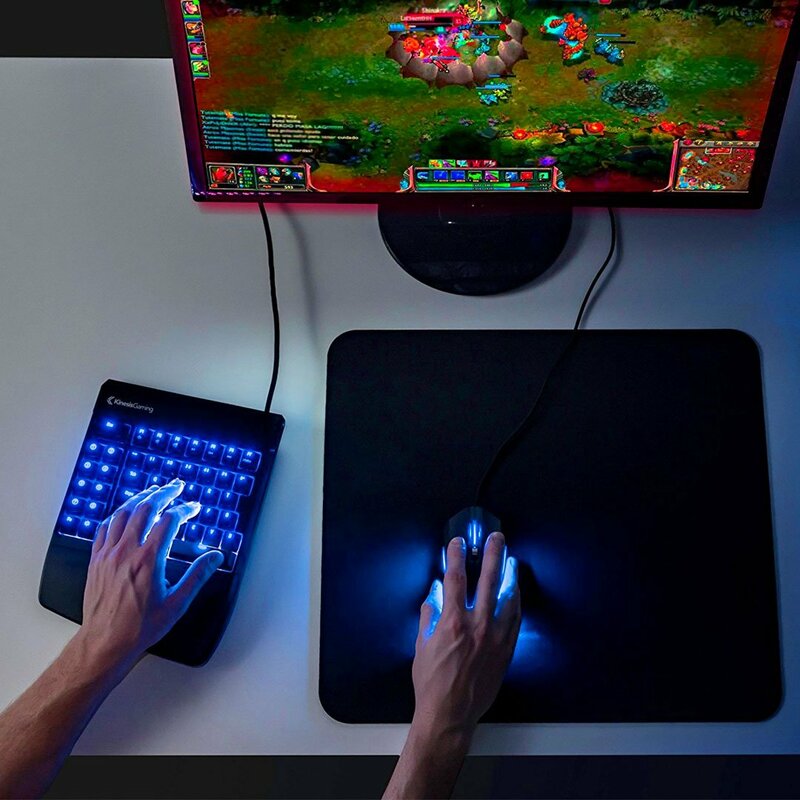 This Split Gaming Keyboard will allow gamers to use separated keyboard layouts to have more control in a gaming experience. 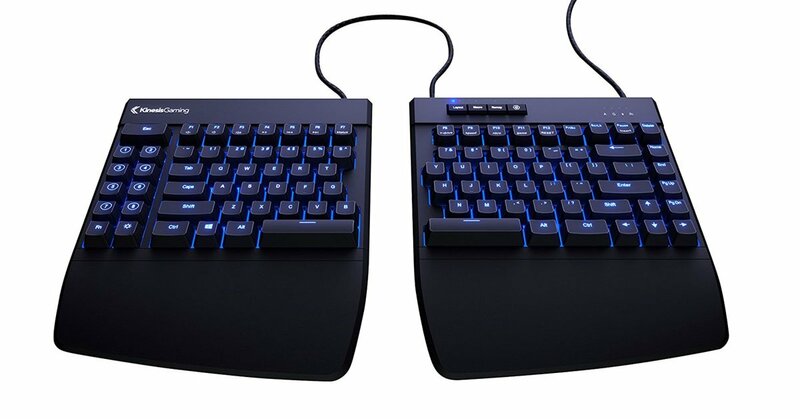 Easily program the keyboard layouts without to need a third party driver or software. All your custom settings are saved to the keyboard so you can take your game on the road. Toggle on NKRO and Game Mode and take advantage of 1MS response time and Anti-Ghosting for the ultimate gaming experience. Braided cables look and feel great, and offer amazing durability. 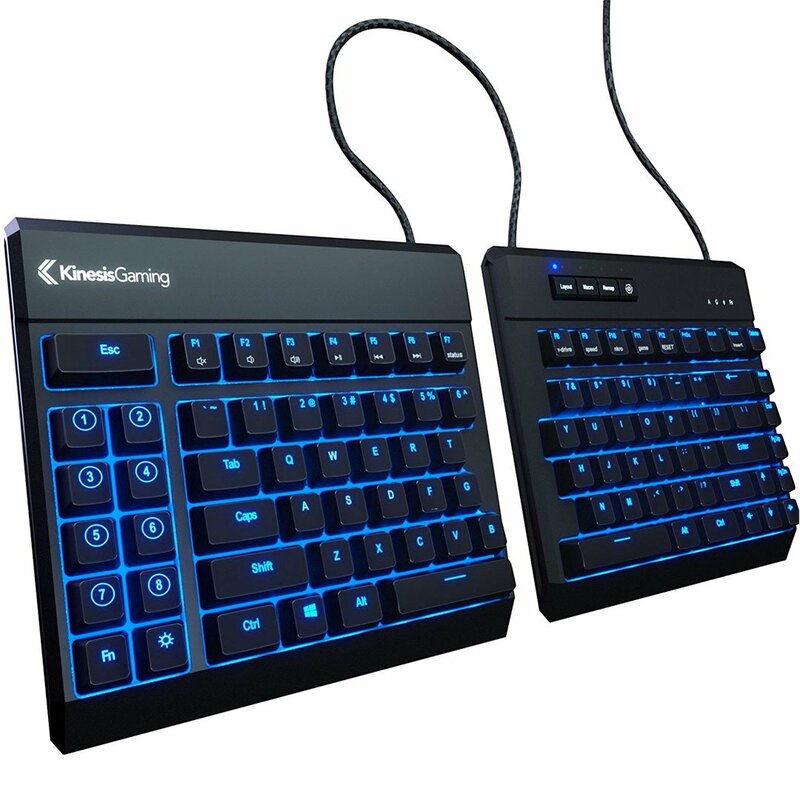 Seize control with 8 programmable game keys for your favorite macros and abilities. Has blue backlighting and can be adjusted up to 9 different brightness levels.